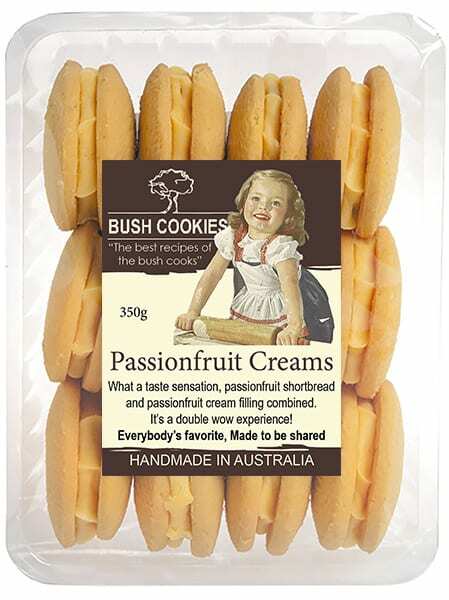 Gluten Free Passionfruit creams are a cream filled cookie with a nice passionfuit flavour that will pep up your taste buds without gluten. 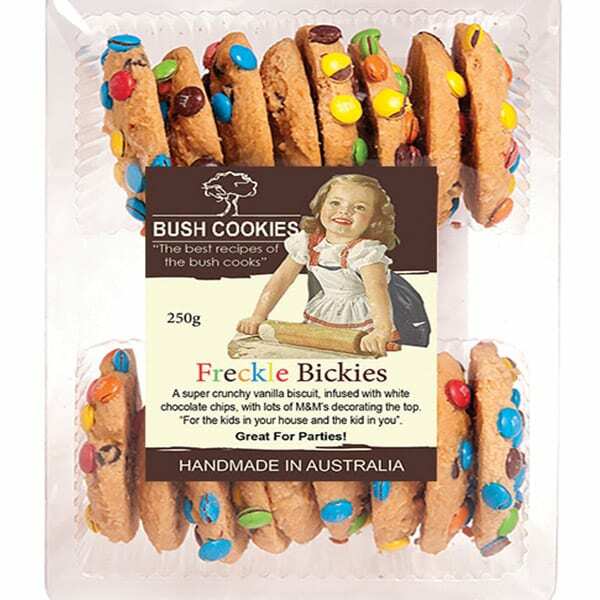 People with Gluten intolerance have plenty to deal with and a limited range of foods to select from, so why not a special treat sometimes. 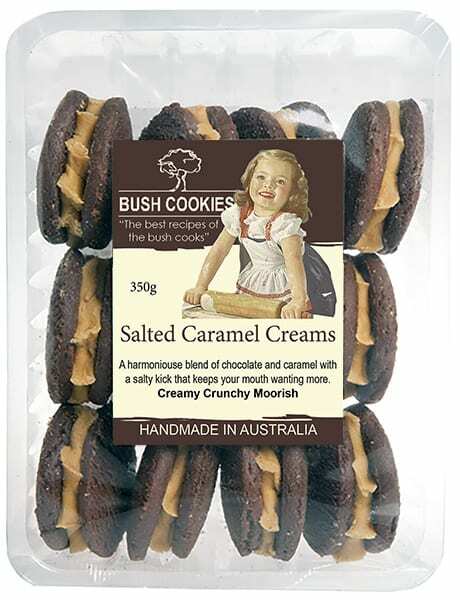 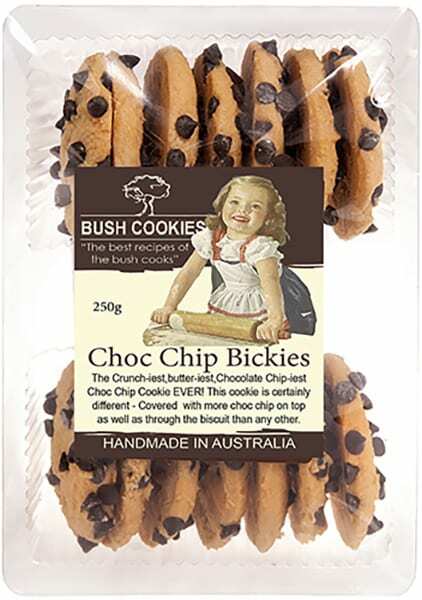 Bush Cookie’ Gluten Free Passionfruit Cream biscuits are manufactured in a separate (HACCP certified for Gluten Free) factory that is maintained to ensure no gluten contamination of our gluten free products. 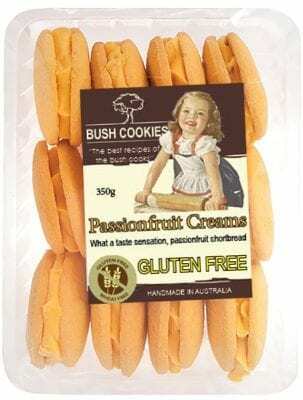 Australia’s favorite biscuit manufacturers delivery wholesale orders of Gluten Free Pasionfruit Creams and other flavours, freight free, to grocery retailers and cafes in major metro regions.